Absolutely beautiful 2 bed/1.5 bath condo located just steps from the upcoming and innovative Union Point! This 3 story townhouse has a wonderful open kitchen/dining layout which leads to a large deck and shared yard. The upper level features two nicely sized bedrooms with cathedral ceilings and skylights, connected by a Jack-and-Jill bathroom with jacuzzi tub. The finished lower level is a perfect space to truly make your own and features an oversized family room and bonus room. The home includes two deeded parking spots, central air and in-unit laundry. Furnace is from 2017 and hot water tank from 2015. 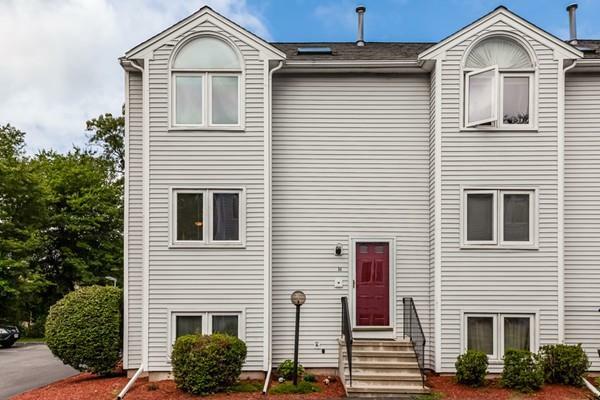 Located right off route 3 and only a mile from the commuter rail, the location is ideal for all commuters. Act fast as this fantastic home won't last long!